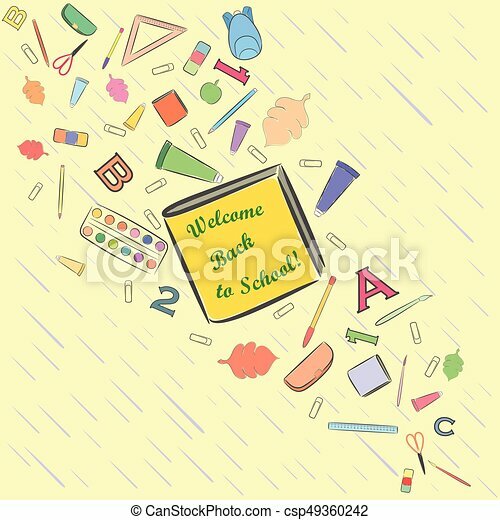 Flow of falling school stuff with a slanting rain on the background and place for text on the central book. 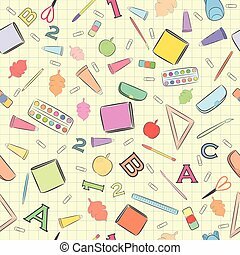 september 1 vector illustration. 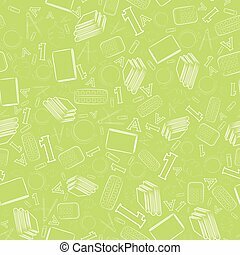 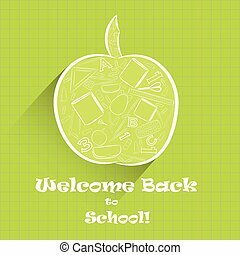 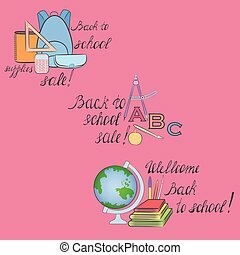 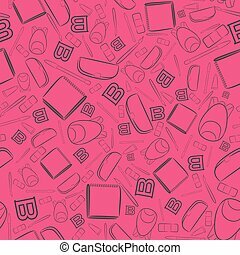 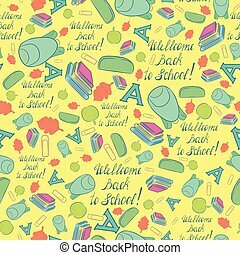 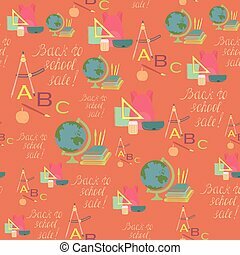 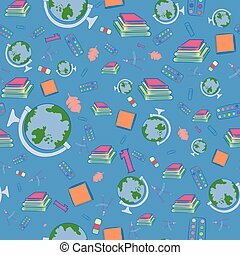 Bright Seamless Background with School Stuff. 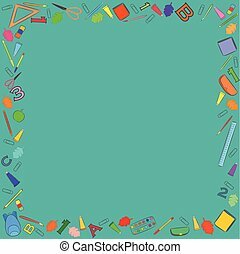 Scattered Backpacks, Book Piles, Apples, Autumn leaves, Pencil Boxes and other Objects Placed on the Yellow Background. 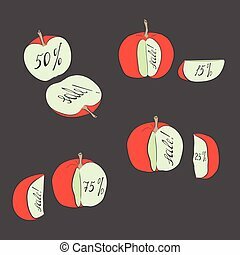 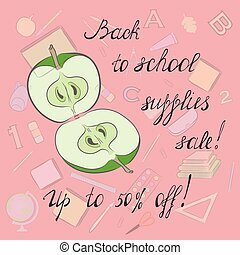 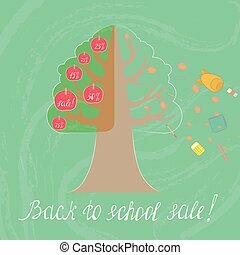 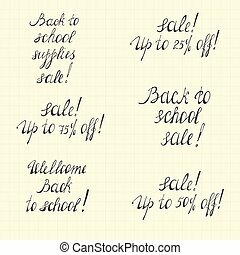 Concept Image of Back to School Sale Season Showed as Tree with Fruits and Flying School Supplies. 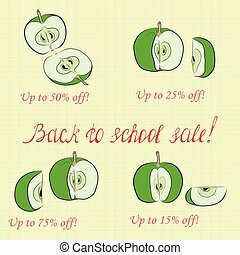 Representing of Discount for School Supplies Sale.